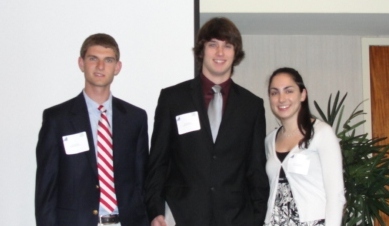 CFMA of Massachusetts (Construction Financial Management Association) is pleased to announce the recipients of the 2010 CFMA of Massachusetts Scholarship Fund. James Byman of Topsfield, MA who will be attending Providence College. A total of $10,000 was awarded to these six deserving students who are pursuing a degree in either accounting/finance, engineering, architecture or project management. CFMA is a non-profit association dedicated to the financial professional in the construction industry.